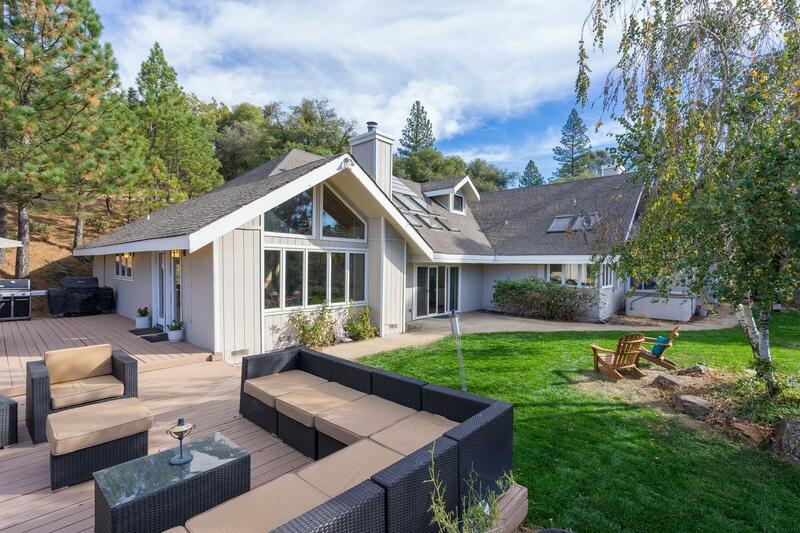 Peace & tranquility surround this gorgeous 4bd/2.5ba custom home on 10 acres. Spacious living room showcases rock fireplace w/wood burning stove. Dining room features wood beamed cathedral ceilings & a wall of windows to show off wooded landscape. Kitchen has new appliances, double oven & beautiful wood cabinets. Stunning master suite w/vaulted ceilings, walk in double shower & skylights. Too much to love w/huge upstairs loft area, large deck, owned solar, outdoor spa, detached workshop & more!